When Stephen Crane's American Civil War novel, Red Badge of Courage, was first published in 1895 the public could not believe that the author was not himself a survivor. Crane was born 6 years after the war ended and at the time of writing the novel had never personally experienced battle. Yet he managed to convey such vivid and realistic imagery of the conflict that veterans of the war saw their own personal experiences in his writing. 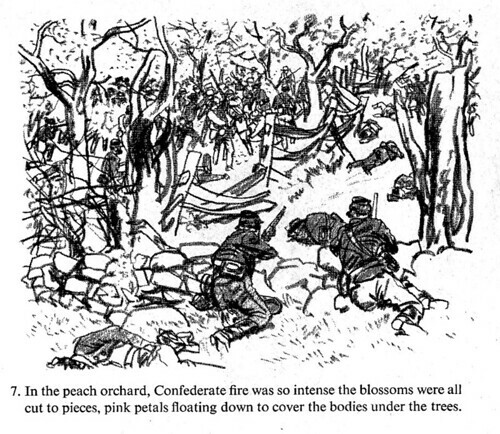 Noel Sickles, in his own way, might be called the Stephen Crane of 20th century illustration. 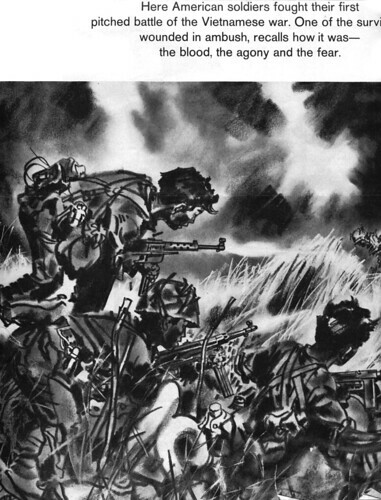 In his opening remarks in Scorchy Smith and the Art of Noel Sickles Bruce Canwell writes, "His arrival in 1910 allowed Sickles to avoid risking death on the battlefields of Europe and the Pacific: he spent WWI in knee-pants and was in his early thirties during WWII." 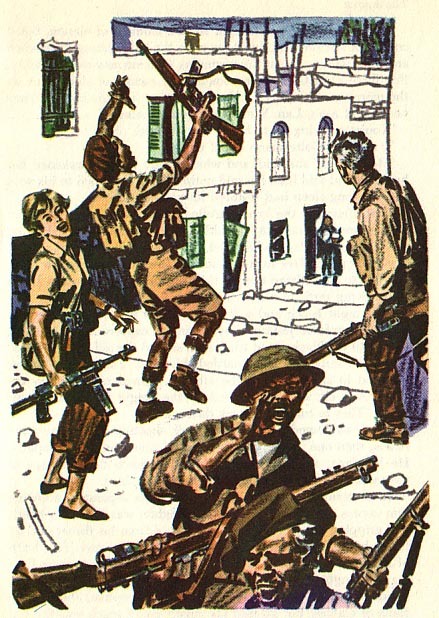 In 1943 Sickles became a civilian employee with the U.S. Navy, creating artwork for a wide variety of purposes, from field manuals to complex "Newsmaps" and built upon a reputation begun two years earlier with a series of assignments for Life magazine, like the one above. It was his life-long passion for "understanding the construction of things" that allowed him the discipline to create such vivid, realistic works. 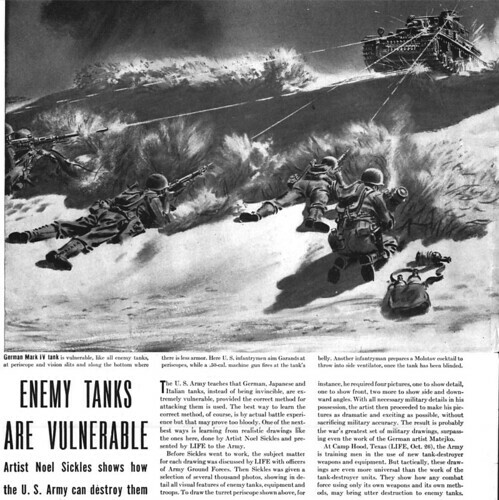 For the tank article above, Sickles studied "several thousand photos, showing in detail all visual features of enemy tanks, equipment and troops." "[His] style... was dependent on a remarkable sense of drawing that was the undoing of so many of his photo-oriented followers. 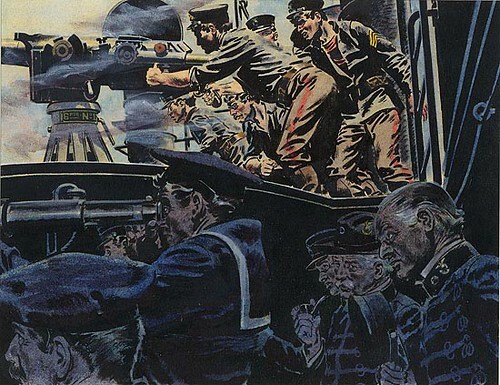 Noel's illustrations could involve 70 figures, horses, wagons, and rugged landscapes. Each face in the figure described a personality, and the costumes were not only individual, but accurate." Life magazine art director, Charlie Tudor, once said to Sickles, "When I give you something, I know the reader is going to understand it. There's something that you do in your work that makes the thing real to people." 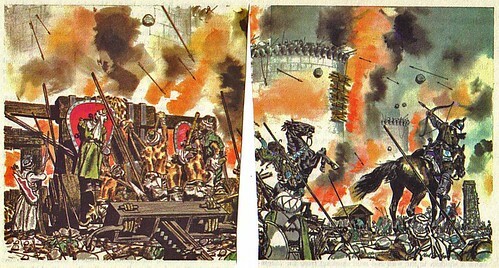 And while Tudor's remark suggests he was somewhat in awe of exactly how Sickles did what he did, the artist, for his own part, once summed up his ability to capture the essence of the art of war with almost Zen-like simplicity: "Not that I'd ever been a soldier," said Sickles, "but I knew all about soldiers. What you do, what you don't do, and so on." * My thanks to Brian Postman and Charlie Allen for providing all of today's scans. * My thanks as well to Dean Mullaney for granting me permission to excerpt passages from Scorchy Smith and the Art of Noel Sickles. 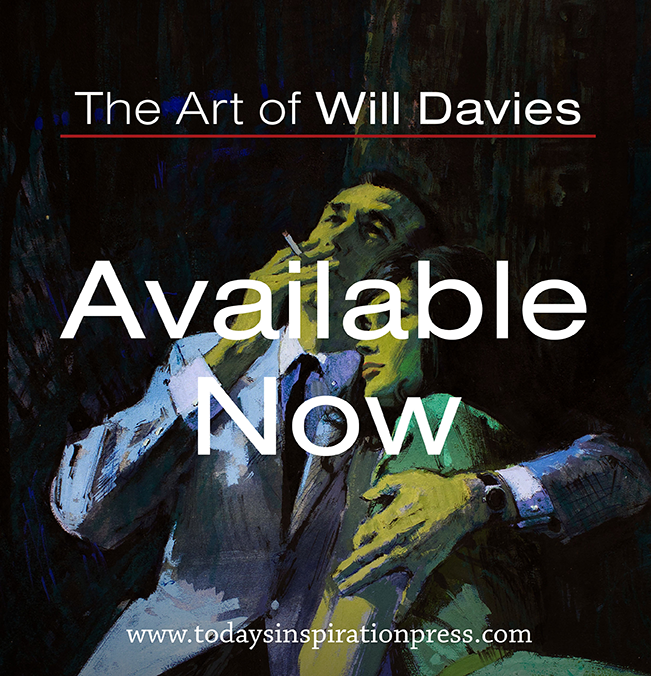 The book is available from Amazon and all bookstores, comics shops, and online retailers. If your local bookstore doesn't have it in stock, they can order it for you: ISBN 978-1-60010-206-6. The text excerpted is © 2008 Bruce Canwell. I find that the more I begin to look around, I see so much good that people do that goes unnoticed. So many wonderful things. See the link below for more info.